This site seems to come back to the year 1927 a lot. It was not just a big year for Toledo, but the United States as well. It was the year Lindbergh crossed the Atlantic. The year radio truly became a mass medium. It was the year Ed Ames was born. In Toledo, the boom of the 1920s continued. Lasalle and Koch announced plans to add three floors to their existing building at Adams and Huron streets. West of the planned Toledo Hospital (which would be built in 1928), the Old Orchard neighborhood was being built. Willys-Overland paid out $28 million in wages in 1926 and spent $17 million on materials the previous year. Ohio Bell dedicated their new $1 million building at 121 N. Huron St. I am probably only scratching the surface. Meanwhile downtown, on January 18, 1927, a rival to the Secor Hotel (which had been open nearly 20 years, opening Aug. 1, 1908) opened its doors right across the street at Jefferson and N. Superior: the Commodore Perry Hotel. – A drug store (“expected to be one of the finest drug stores in the United States”). – Its own Western Union traffic bureau. – Servidor service. A Servidor was a small compartment built into a room door, where a guest can place a dirty shirt to be laundered, for example, or a hotel employee could drop something off without disturbing the guest (or requiring the guest to tip). – The “city’s largest” barber shop, with 12 chairs and six manicure stations, and a beauty shop, both under the supervision (according to an ad) of Lott Gadd Jr., who, the News-Bee said, ran the beauty shop aboard the RMS Lusitania when it was torpedoed by a German submarine in 1915, though this link from the Merseyside Maritime Museum said he was only a barber. The hotel ran a full-page ad (this link will get you close) trumpeting its opening and didn’t hold back. To Toledo this seventeen stories of stone and steel – this three million dollars’ worth of structural beauty stands as the gateway to the epoch of the City’s greatness. 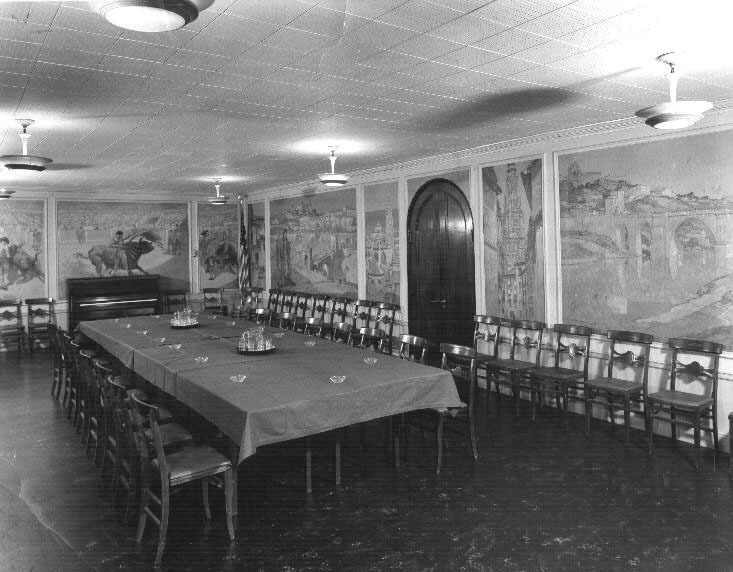 The Commodore served as ‘the’ place to stay for many years if you were visiting Toledo, and employees remembered its glory days fondly. Presidents, celebrities and sports personalities all stayed there, and it was undeniably the best hotel in town. The King and Queen of Greece stayed there during their 1955 visit. 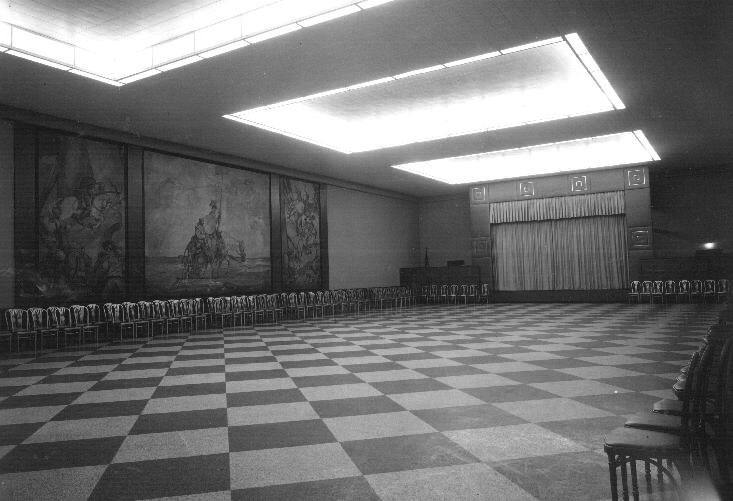 Even as older hotels like the Waldorf and the Ft. Meigs closed, and downtown’s place as the center of Toledo’s civic and retail life faded in the 1970s, the Commodore endured as a hotel and a busy meeting place for civic groups as well as housing permanent residents. But when the Commodore annouced its closing in November 1980, the story in The Blade revealed some insights about its financial performance. Its fortunes never reached he expectations of its owner, the senior George Jones. The hotel paid no dividends on its stock or interest on its loans from the day it opened, according to news accounts of the day. 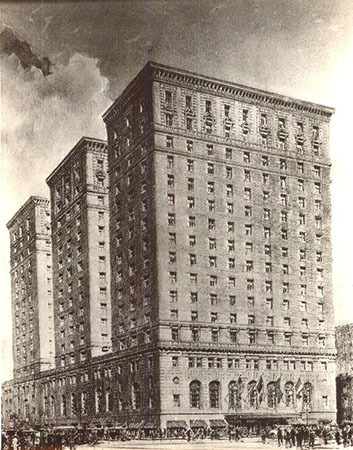 The hotel was sold in 1934 for a reported $3 million to purchasers from New York who formed the Commodore Perry Hotel Co. By December 1949, the company controlled operations of the Commodore, along with the former Secor Hotel, at 425 Jefferson, and the former Willard Hotel, now the Renaissance Municipal Building, at Adams and St. Clair streets. 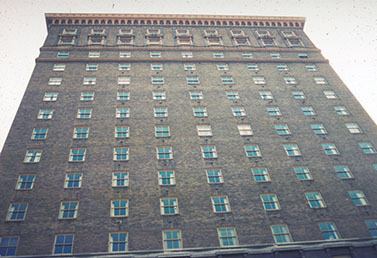 In its early years as one of Northwest Ohio’s premier hotel properties, the Commodore Perry enjoyed considerable success. 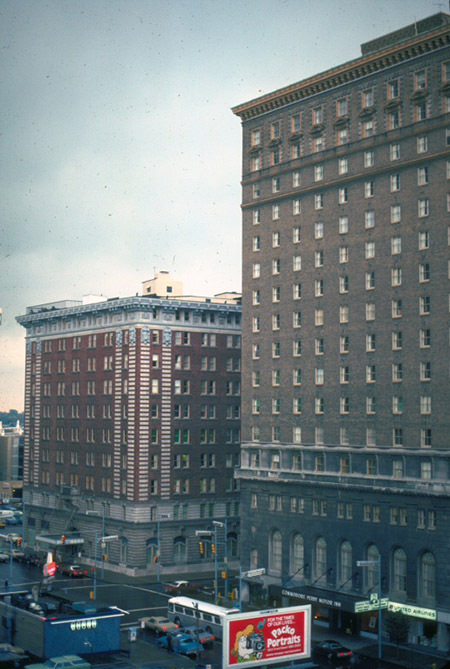 However, the hotel’s operating performance has deteriorated since the late 1950s, and a total of nearly $4,000,000 has been lost over this period. The hotel’s recent poor performance is a result of two basic factors: steadily declining use of downtown hotel facilities by transient guests and rapidly escalating costs, including those for food, labor, utilities and maintenance. The Blade sent over Chase Clements, who, it’s worth noting, covered all manner of news in Toledo for 40 years either on radio, television or in print, to cover the closing night. The hotel had been busy all week with people stopping in for a final look, a last meal at the Captain’s Table (Oliver’s, the Mexican restaurant, was to stay open), or a final drink for old times sake at the Quarterdeck Lounge. Even Mayor Doug DeGood was spotted alone sipping a glass of wine at midafternoon. “Nostalgia, pure and simple,” he said. Chef Andrew Trigg reported that, thanks to souvenir hunters, two or three hundred pieces of silverware had disappeared since the closing was announced earlier in the week. The nearly 250 employees who were losing their jobs had done well in tips, however. And with that, the Commodore Perry Motor Inn (as it was known after a 1968 remodeling) ended its days as a place of lodging. The Commodore Perry is one part of Toledo’s history that has not exactly been lost. The hotel is now an apartment building, the Commodore Perry Apartments. Judging from the pictures it looks like much of the ornate splendor of the old hotel which opened to so much acclaim in 1927 has been left intact. Previous PostIt’s 1980. Let’s eat out!